The ESI-2020 is a multi-purpose interface device that is designed to support a number of communication functions in Utah Scientific router/master control systems. 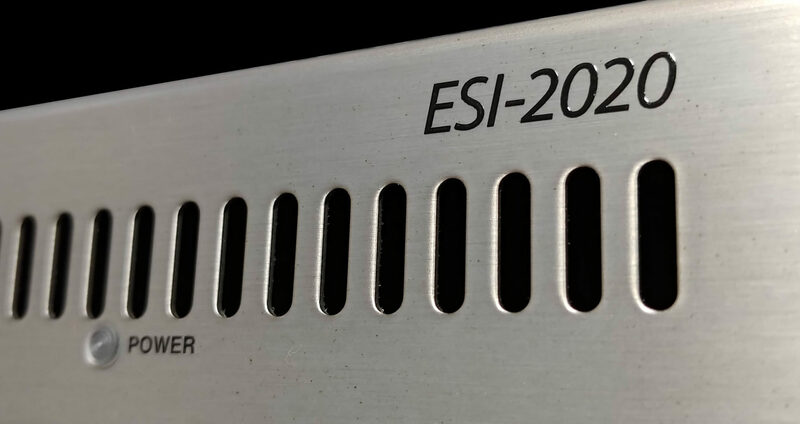 The ESI-2020 hardware platform is housed in a 1RU rack mount chassis with dual power supplies, main logic board, and up to 3 device interface boards. A front panel display is used to show device status and to provide feedback on a number of diagnostic and set-up procedures. The main logic board supports several different embedded software packages that tailor the ESI-2020 to certain applications. For other applications, consult your Utah Scientific representative for information on software options that are available in addition to the functional packages described in our brochure. An optional configuration of this device is capable of controlling of 6 machines with each machine assigned to a pair of ports. The second port for each machine is connected to an automation system. In this application, the ESI-2020 listens to the status messages from the machines to provide feedback to the operator and when manual intervention is required the operator can take control of the machine from the MC-2020 control panel.